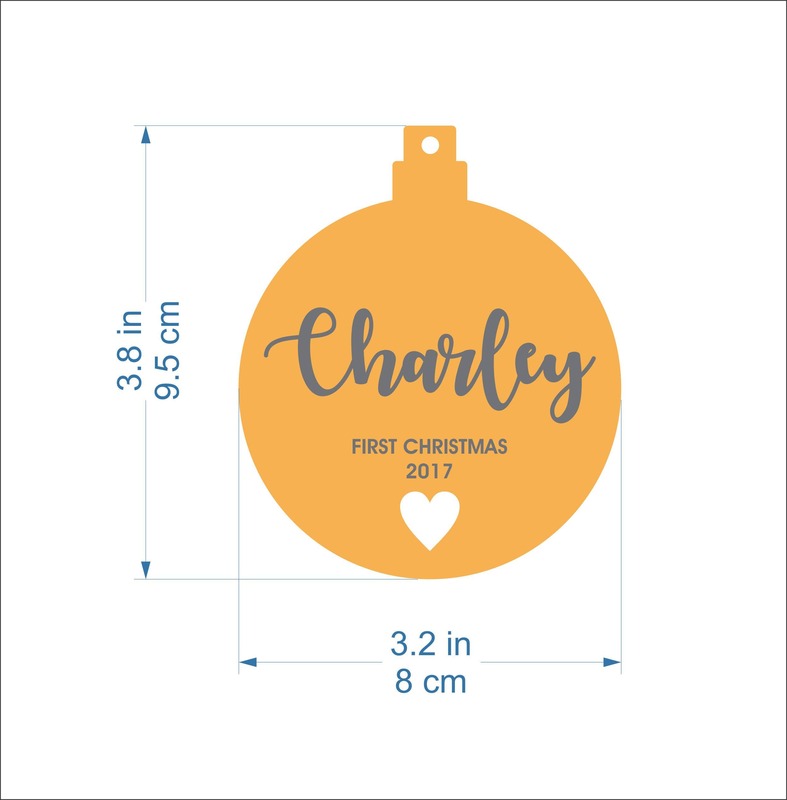 I can add other personalized text: "Our First Christmas", "Mr and Mrs" or your custom text. In "Note to seller" let me know the text you want. If you have any questions or requests just contact me! Custom orders are welcome! 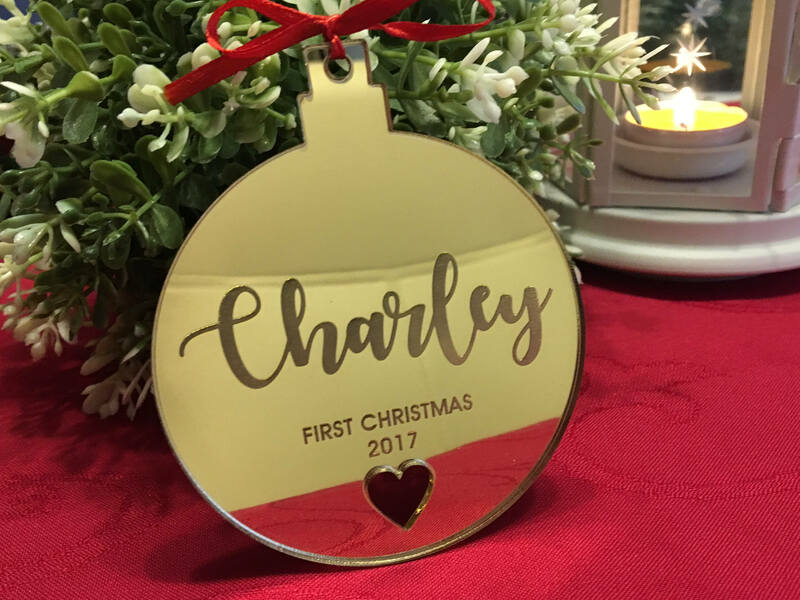 Engraved First Christmas Ornament with laser cut heart. 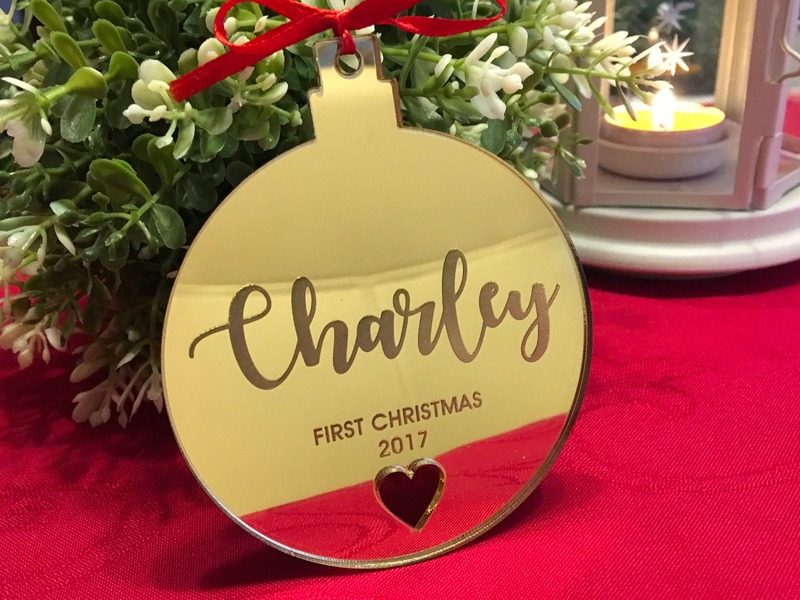 This First Christmas It makes a lovely keepsake for such a special time. 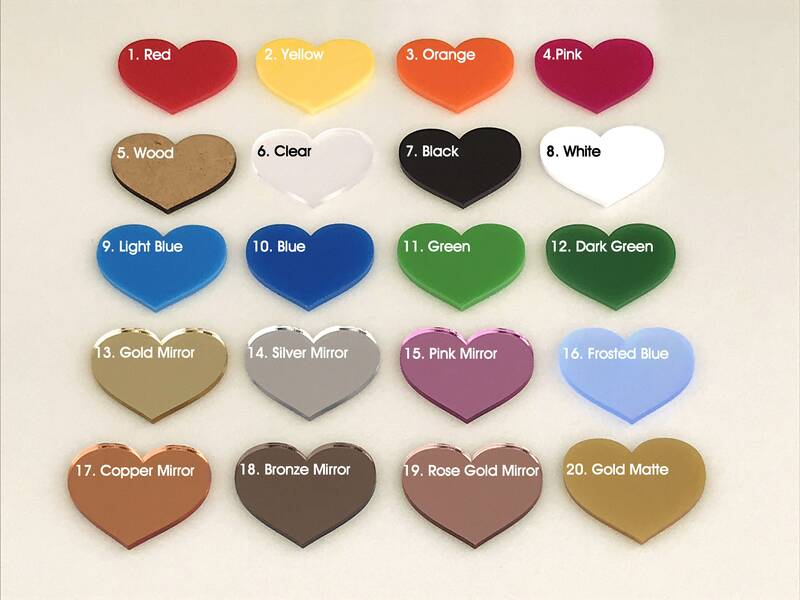 The Christmas bauble will last for years to come and comes in a choice of colours to make it extra special. 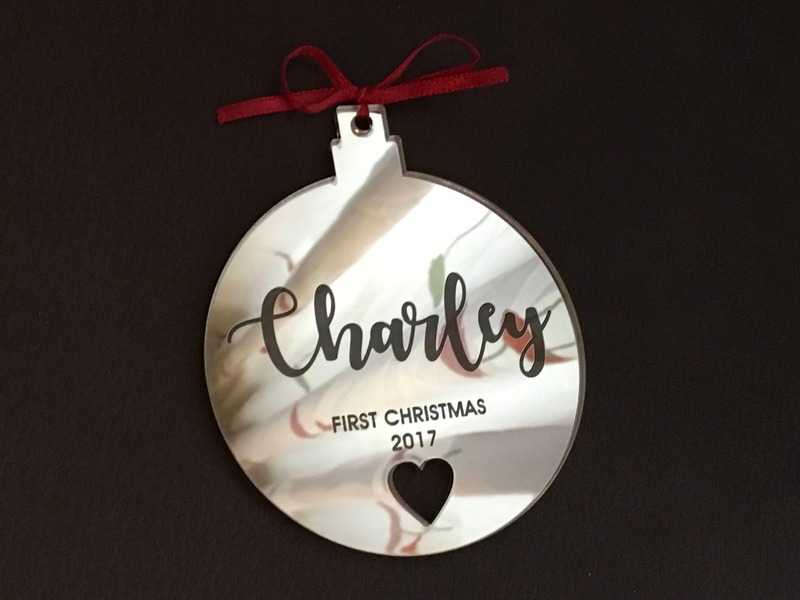 The bauble can be used also as Mr and Mrs First Christmas. 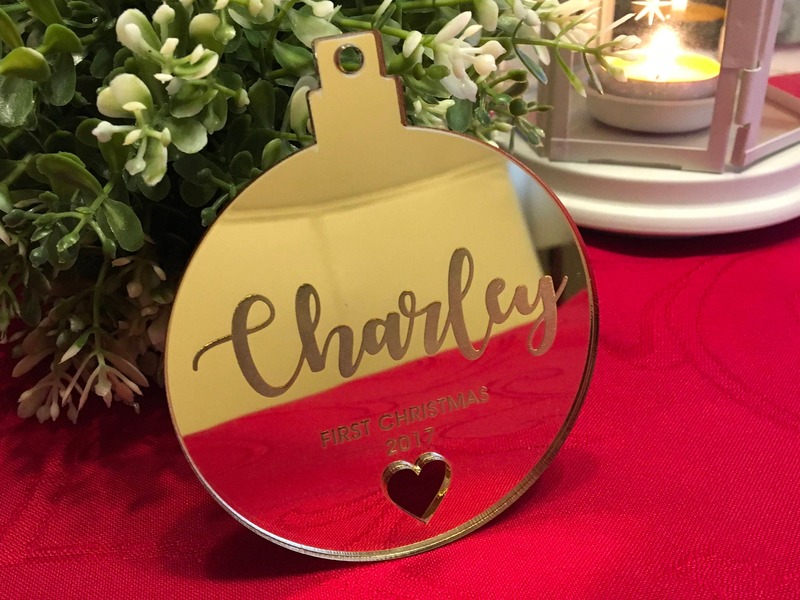 I absolutely loved Mila’s first Christmas Bauble and it looked absolutely gorgeous in copper on my tree. We had so many compliments on it - I couldn’t help but show it off. It came quickly and well packaged. Thank you so much. I will love hanging this on my tree every year! These ornaments are gorgeous! 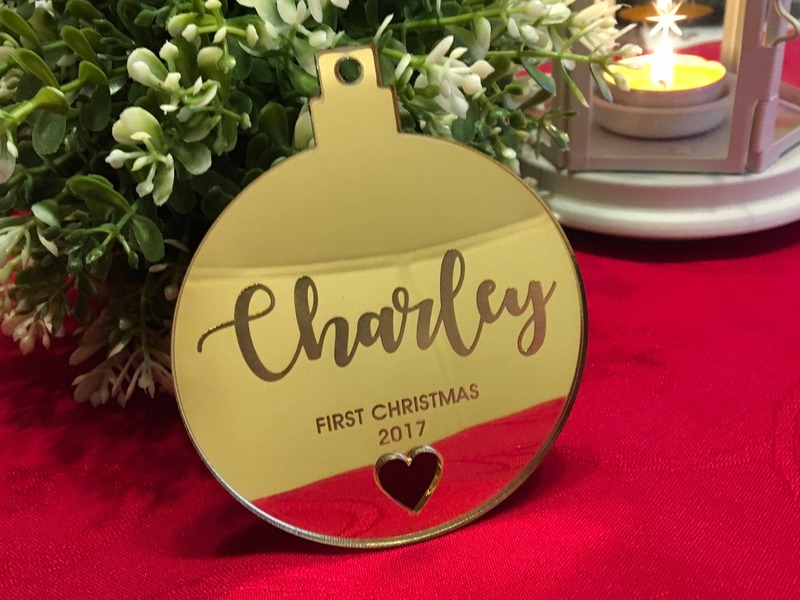 We bought one for our second son to commemorate his first Christmas - and had to buy another for our first son when we saw how beautiful it was! And, then we purchased two more with the arrival of our twins. Friends and family who saw these hanging on our tree bought some for their families as well. They are spectacular!